I made this Mountain Silversage farming guide to help out players who want to farm the herbs instead of buying them from the Auction House. It's recommended to have around Herbalism 280, so you won't get herb fragments. Mountain Silversage usually is found just around the mountains. 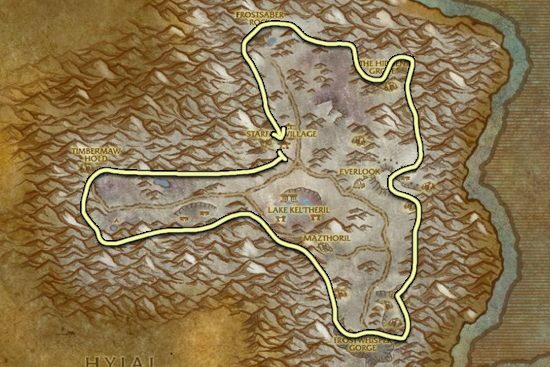 Winterspring is by far the best place to farm Mountain Silversage, it's not worth to go to other zones because there are so many of them at Winterspring. There is two farming routes you can use, there is not much difference between them, you will usually get around the same number of Mountain Silversage. The respawn rate is fast enough that you can follow the smaller farming route if you prefer not to go around the whole zone.